Are you looking for a salt mill that is highly efficient and equally convenient, and provides a perfect match for the contemporary style of your kitchen or your dining room? 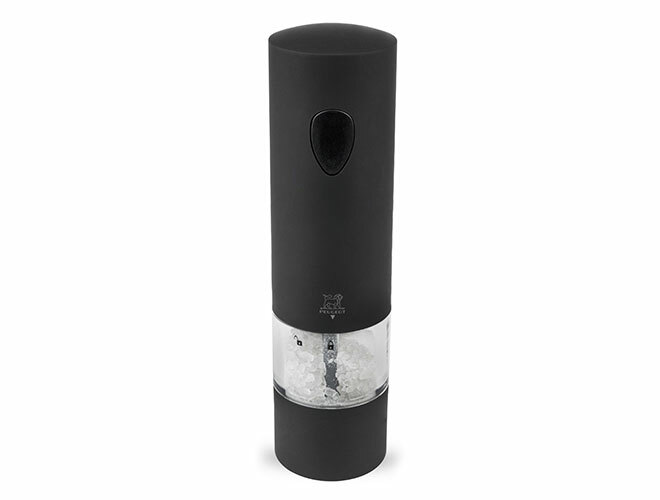 If so, the Peugeot Onyx electric salt mill is made for you. Its design combines the soft blackness of soft touch ABS with the transparency of its reservoir. You can use it with one hand and continue cooking at the same time. 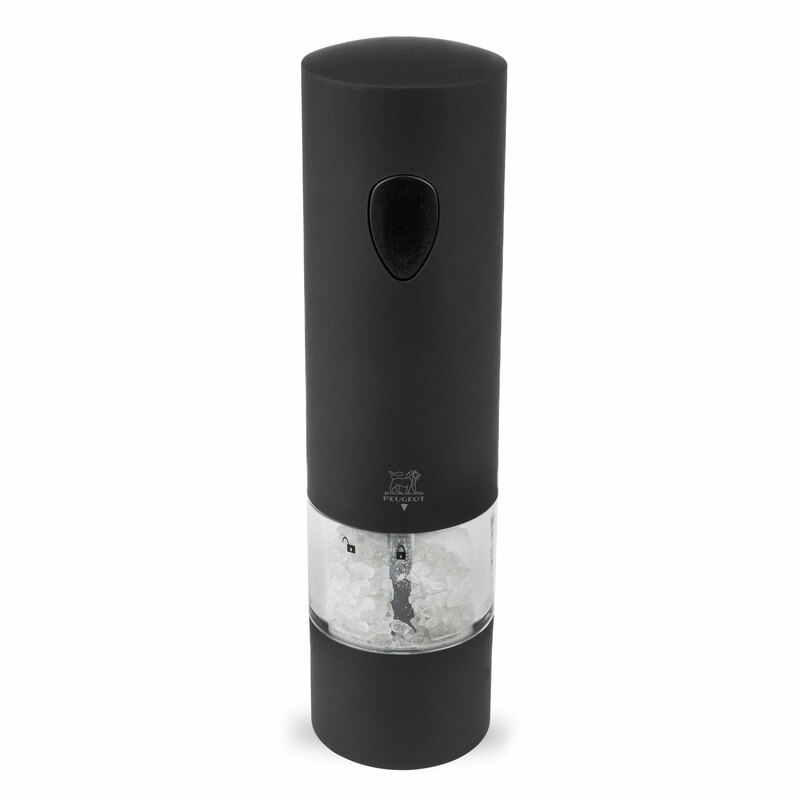 As soon as the salt mill starts grinding, its light comes on so that you can check how much salt you are dispensing. The transparent reservoir allows you to check how much salt is in the mill. It�s never been so easy to cook and grind at the same time. This electric salt mill comes with 6 batteries and 1 spare bulb.